Each domed trellis panel is 6ft (1.83m) wide and two heights, measured to the highest point. The gap size is approximately 60mm (2½’). Ideal for adding a bit of flare on top of a fence panel, for climbing plants or for a slight screen. 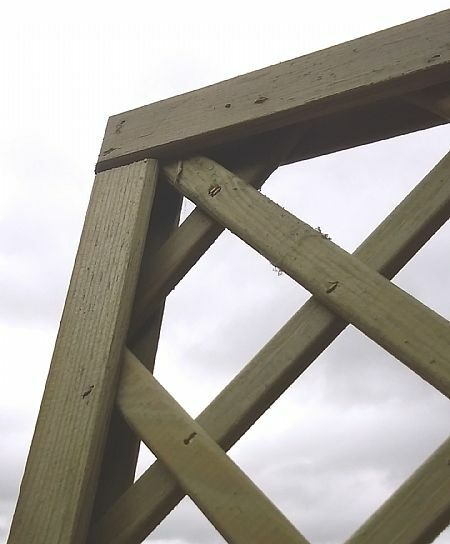 This trellis is made from a lightweight batten that has been pressure treated for longer life.